The Federal Aviation Administration has suspended all U.S. flights to Israel for at least 24 hours. The official advisory on Thursday came not long after two major U.S. airlines—Delta and American—decided to suspend their flights to Israel independent of FAA instructions. Earlier Tuesday, a rocket fired from the Gaza strip landed about one mile from Tel Aviv's Ben Gurion airport. According to the Associated Press, the rocket damaged a house and injured one person in Yehud, a Tel Aviv suburb. 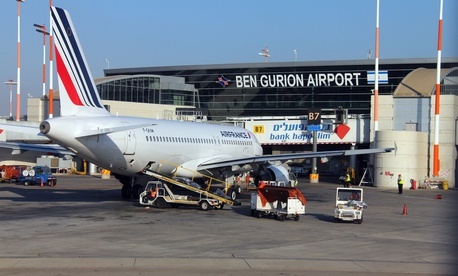 The notice was issued in response to a rocket strike which landed approximately one mile from Ben Gurion International Airport on the morning . . . [and] applies only to U.S. operators, and has no authority over foreign airlines operating to or from the airport.